Here’s two small formatting errors that make me want to punch a hole in the wall. I’ll help convey what’s right and what’s wrong by using screenshots from IKEA furniture assembly manuals. When you see the person on the right with the broken furniture, you know that something has been done wrong. When you see the person on the left, you know that it’s been done right. 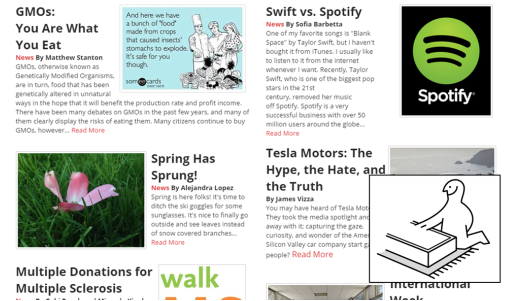 Either because we want to show off more articles at once, or because someone was in a rush while posting, it seems that the layouts of certain pages has been a little messed up. 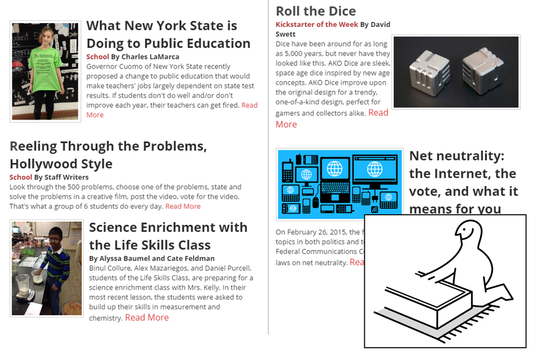 Notice how there’s three articles across, but they don’t take up equal space horizontally. On top of that, if you scroll down, you’ll see that it goes back to the regular two across layout. You owe that poor, confused Swedish blob some pepparkaka. This is much better. 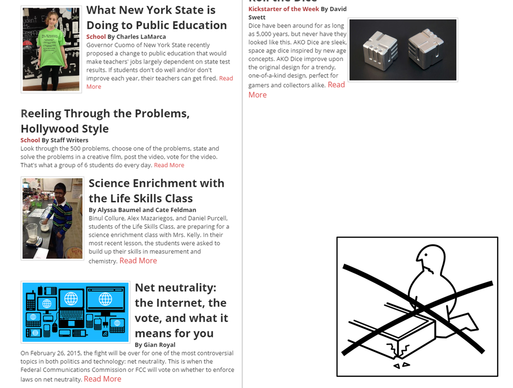 The two across layout is maintained throughout the page, and pictures are placed in line with the images to conserve valuable vertical space. If you’d like to change to a three across layout, convert the entire page, and ensure that each column has identical spacing. However, you’ll see that by moving things around, the bottom of the page is much more even, ridding us of the ugly, useless white space. 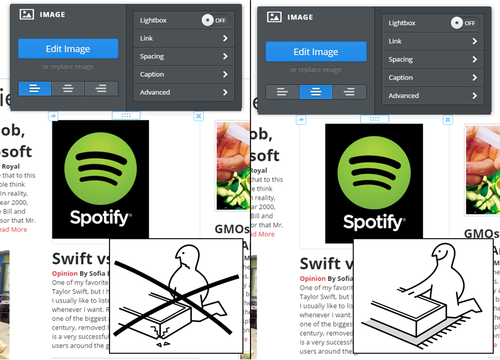 Here are some simple modifications that you can make to pictures, to make them appear better and also make the website easier to use. 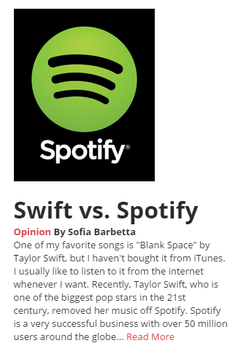 Let’s start with this link to Sofia’s article about Swift vs. Spotify. 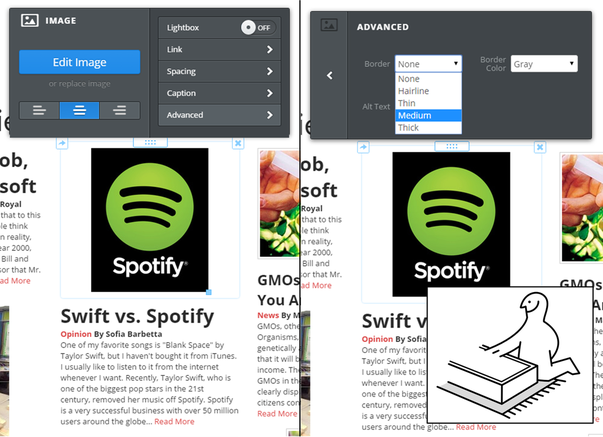 First, you can click on the picture, in this case a Spotify logo, to bring up the image settings. And that, using the image settings, is how you center a picture. Much better. 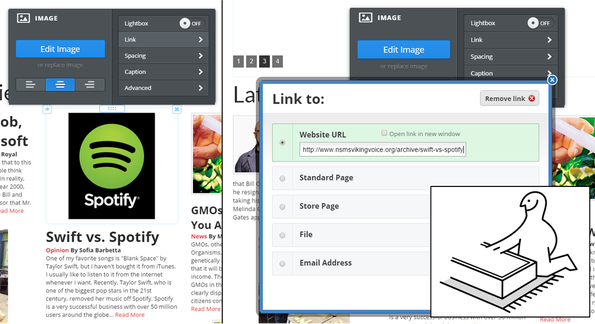 On pages that link to articles, like the homepage and specific topic pages including News, Opinion, and Arts, you can make the picture a link to the article as well. This will make it easier to start reading. 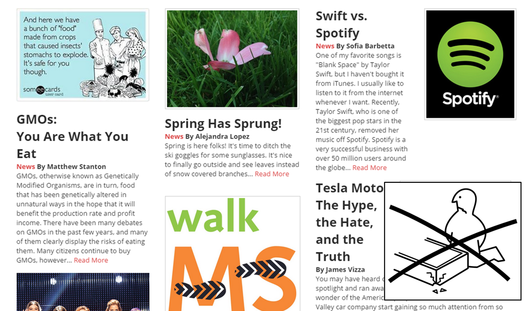 One more thing: all pictures on here have medium sized borders. You can use the above steps to add them yourself. And get me some Swedish meatballs while you’re at it.